If you have kids and a smaller (or smallish) home, you need to be thinking about bunk beds. But like any furniture, that can get pricey, fast. 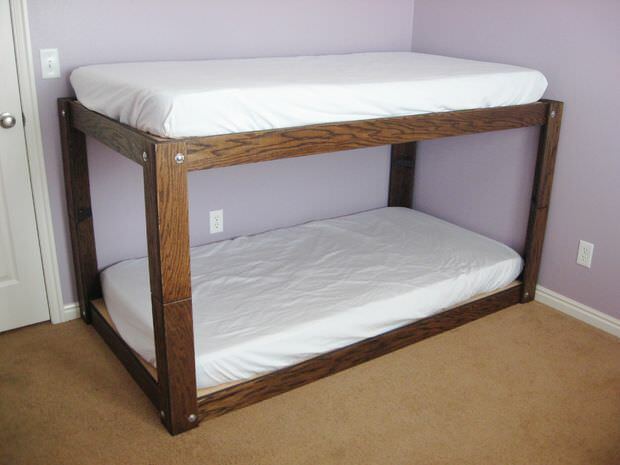 These DIY bunk beds will save you money, and help you create beds for your kids (or grandkids!) that will last to the next generation! Use these space saving pieces of furniture for shared kids bedrooms, vacation homes or just to provide a “guest” sleeping space for your kids’ best bud. From ‘Mamas Dance‘ comes this tutorial for this DIY bunk bed that is inspired by “The Land of Nod”. The inspiration beds cost over $1600, so you know this is a budget saver! You can find the plans they used for the bed at ‘Ana White‘. 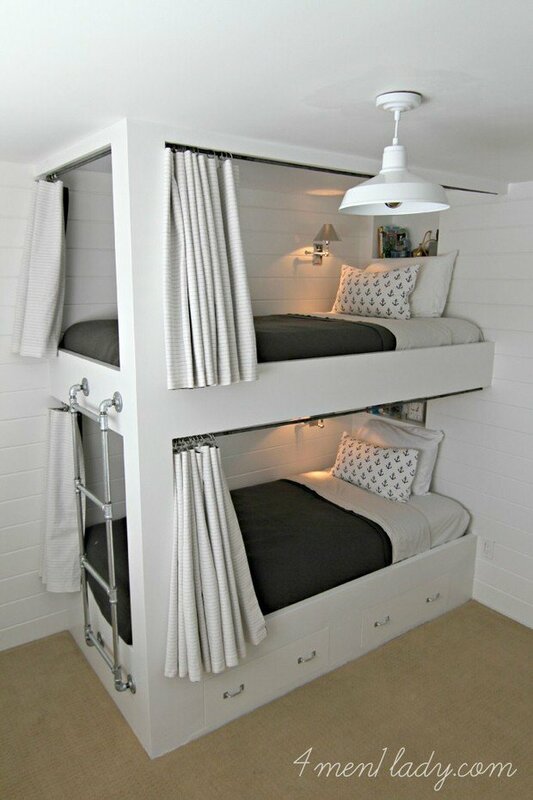 These DIY built in bunk beds are a permanent installation of a cool custom piece you can do your self! From ‘Chris Loves Julia‘, this project has plenty of step by step instructions and photos. Great investment in any home. Loving’ the steps! 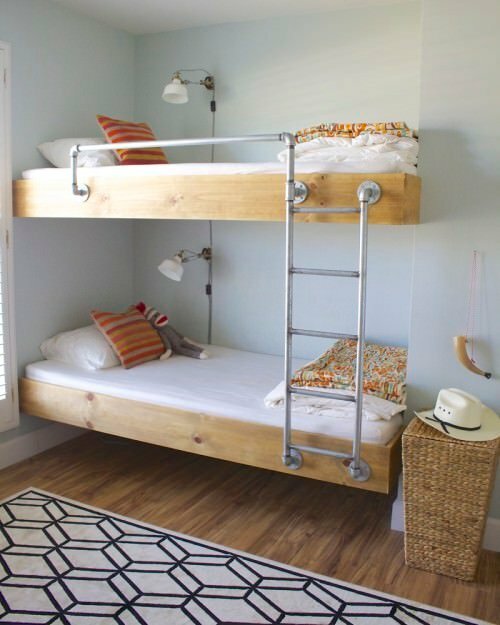 From ‘DIY Network‘, this side fold Murphy DIY bunk bed will really save space! When not in use, it folds into the wall! Complete instructions. 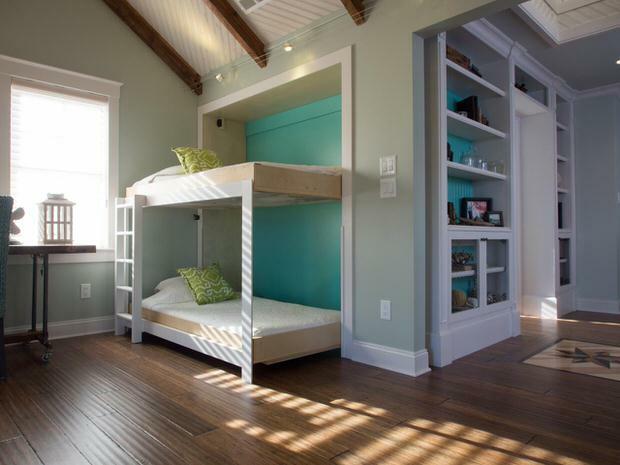 Ok, these beds are really cool because they are kind of a cross between bunk beds and loft beds. 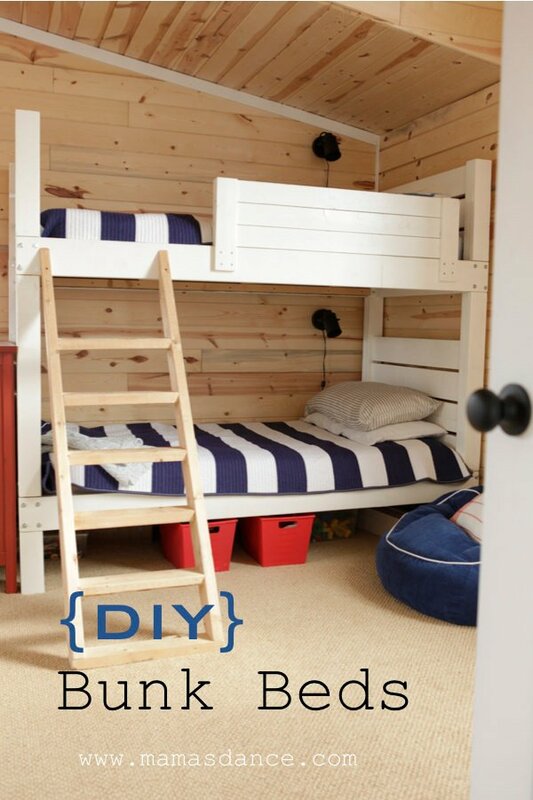 Learn how to build bunk beds from ‘The Project Girl‘, and make the best use of your space! Great tutorial with free plans. Want something with a simpler look? Try this minimalist DIY bunk bed from ‘Instructables‘. Full plans and instructions. Check out the comment section for all the DIY’ers who have already successfully completed this project! ‘The Rugged Home‘ has my fav tutorial yet! 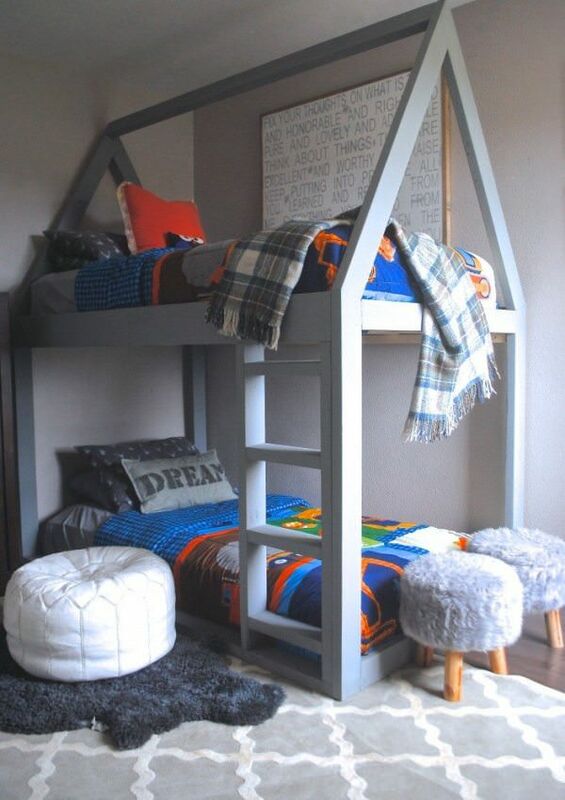 Lovin’ on these house shaped DIY bunk beds! How could any kid not love to hang out in their room with this bed? Great tutorial with lots of photos. This next one from ‘Mikael Monson‘ is , in their words, pretty intense, but worth it. 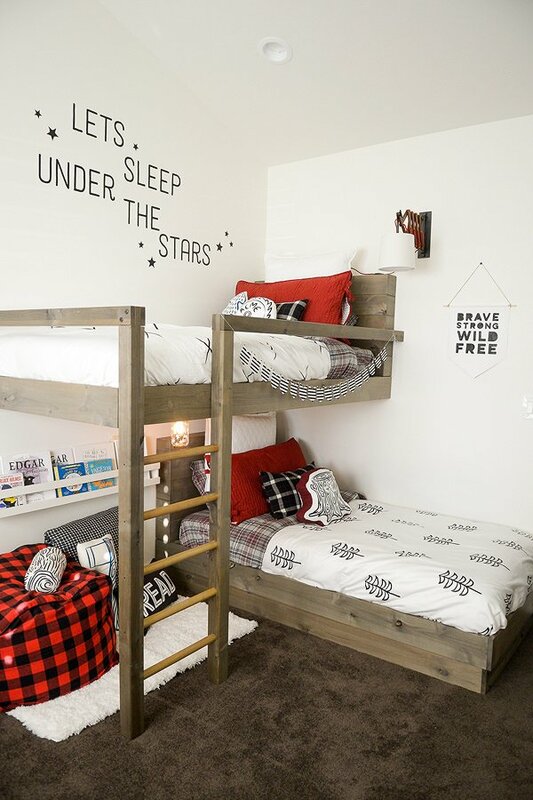 These boy/girl shared DIY bunk beds look so high end and have so many amazing details. It may have taken them quite a lot of time and work, but they turned out to be crazy awesome. Go see all the photos at their site, it really is quite the amazing DIY. Last for you we have these DIY bunk beds from ‘Design Sponge‘. Unfortunately, these don’t have a tutorial, but hey, you’re experts now, right? We love the pipe ladder, which is a detail that most DIY’ers could find a way to put together. Ok, so now you are the most popular parents in the room for learning how to build DIY bunk beds! 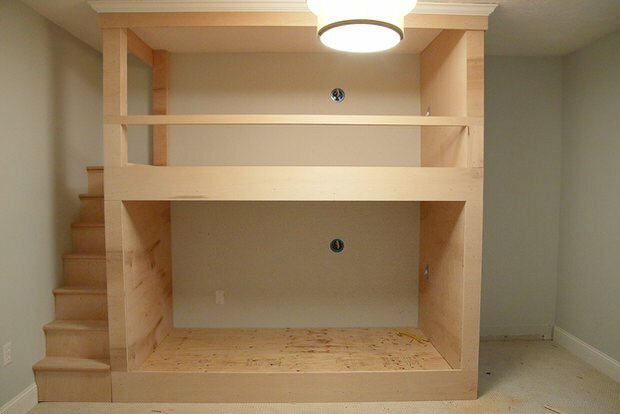 We think you will also want to check out DIY Murphy Beds and DIY Kids Furniture Projects! this is very amazing idea for everyone who wanted to make their bed room look nice. 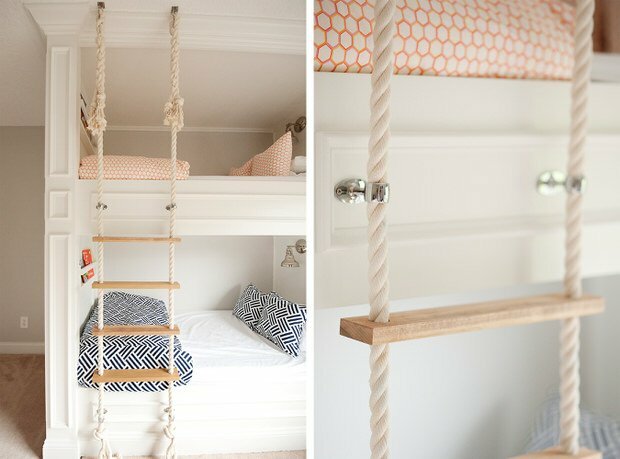 Love the tiny built-in staircase on the ‘Chris Loves Julia’ bunk bed. So cute!